A meticulously reconstructed adventure of a legendary journey. The doomed maiden voyage of the Titanic nearly a hundred years ago affected all levels of society. Titanic is a large-format, fully illustrated, hands-on expedition through the ship itself. It tells the story of the sailing experience and the tragic end. The text is written from the viewpoint of a journalist narrator on board for the maiden voyage. The narrator journalist visits every area of the ship, describing little-known facts and revealing details often missed. For example, not everyone knows that the Titanic's fourth funnel was only a hollow fake intended solely to make the ship look bigger and appear faster. The journalist's tour leads to the bridge just when disaster strikes. Then the tone changes from simple wonder to growing horror. The narrator's imaginary account is combined with actual eyewitness accounts of the sinking, including those by surviving children. The aftermath of the tragedy that took 1,500 lives is covered and includes the reports and inquiries of the official investigation. 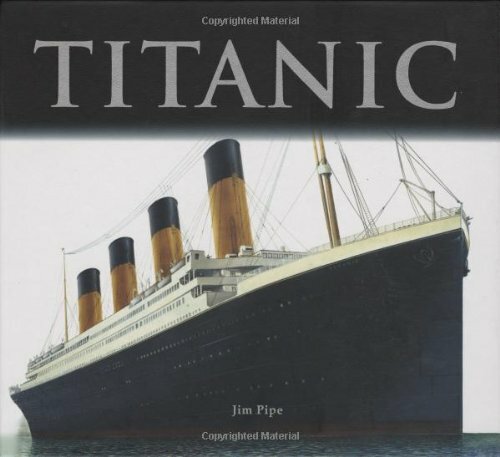 Titanic is a richly detailed and dramatic interactive experience for readers of all ages.